When teens drink, they’re much more likely to get drunker, faster, and cause damage if they get behind the wheel. Parents can help reduce the number of teens injured by – and arrested for – driving under the influence. Enforce some rules about drinking with zero tolerance for drinking and driving. 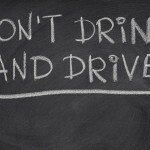 In California, teens arrested for DWI face serious consequences. In fact, if you are under age 21, the “legal limit” blood-alcohol content rule of 0.08 percent doesn’t even apply. The drinking age in California is 21 – no exceptions. If your teenager is arrested for DUI, and if any measurable amount of alcohol is detected on a DUI test, your teen could be convicted of underage DUI. 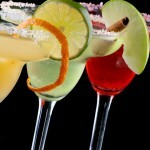 If your child is charged with DUI in Orange County, contact an experienced Orange County DWI defense attorney at once. According to the Centers for Disease Control and Prevention (CDC), alcohol is the most commonly used and abused drug among young people in the United States. Alcohol abuse is linked to more than 4,300 annual deaths among underage youths in the U.S. Although drinking by persons under 21 is illegal, people ages 12 to 20 drink eleven percent of all the alcohol consumed in the United States. Observe the social patterns of your teens, their friends, and their activities. Ask your child to be honest with you. Be realistic, but do your best to teach your children about alcohol and especially about drinking and driving. Your teen should understand that DWI laws are different for underage drivers. If your teen is arrested for DWI in Orange County, contact an experienced Orange County DUI defense attorney as quickly as you can. Fight the charge with the help of a good DUI attorney who can help you bring the matter to its best possible resolution. Help for parents and their children is here, but you must make the call promptly after a DWI arrest.